Pretty Link Pro is a WordPress affiliate link management plugin that helps you manage your links. This handy plug is actually all you need because it’s a full package for link management. Managing affiliate links may sound like a piece of cake, but any blogger or internet marketer knows what a nightmare it can be. The right plug-in that helps you organize and settle your affiliate links can be a life saver. 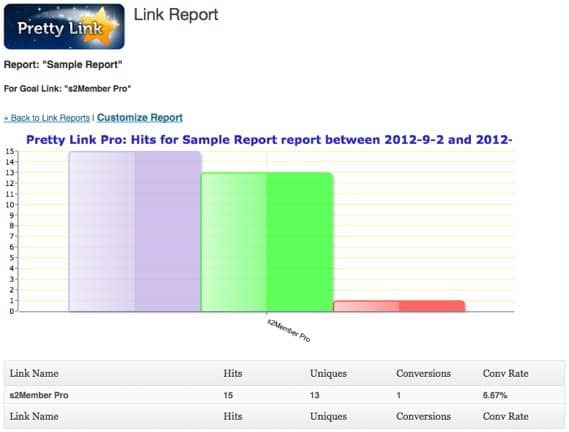 Pretty Link has several affiliate tools and its free version is easy to find and quick to download. Even the free version is superb because it has a lot of features and it really makes a total full package for managing links. There are some of you who are new to the whole link managing concept, so let me explain what Pretty Link Pro does, as simple as possible. It manages both inbound and outbound links. Inbound links are the ones leading to your website, and outbound links are the ones that lead you to another website. This awesome tool lets you get rid of all those long or weird looking links on your website. With Pretty Link Pro, any link can be changed and simplified so instead of awkward looking links with many strange characters, you will get a short and simple one. This plug-in lets you track how many hits the redirect gets, and you can do many more interesting and useful things, for example you can choose your redirect type or rotate some random pages through the URL. You can also use keywords that you can include in your website text or blog, and they automatically become links leading to wherever you want them to lead. Now, let’s get more specific and detailed with the plugin. The free version of this plugin, Pretty Link Lite, is actually a really great plug-in for new bloggers to get started with. The tool is the actual standard among the marketers. The stability of the plug-in has been tested and it is so reliable that even all those picky affiliate marketers gladly recommend it. The developer of Pretty Link has been an active member of the WordPress community for many years, which automatically tells you that the plug in is here to stay for a long time. You can create simple and neat URLs on your blog or website, which you can redirect to any other URL. It gives you the option to create and name a custom slug for the URL, or it can create a random simple slug all by itself. Tracking the number of hits per every link. Tracking the number of unique clicks per link. You can freely rewrite the custom parameters before you forward the target URL. You can choose whether you want to have a temporary or permanent redirection for your affiliate links. Tracking can be turned on and off on each and every link. Nofollow and noindex links can be created also. You can search through all the links you’ve made so you can easily find them. The professional version of this plug-in is an upgrade to the free Lite version and while keeping all the great numerous features, it also includes many new ones. Many, if not all of the advanced link management tools are included and Pretty Link Pro is surely the full package every marketer needs. Automatically replacing any keyword in your posts with links. The Pretty Bar offers many more social media share buttons, and the old ones from the Lite version are still here, but improved. The ability to automatically share any of your posts to your Twitter account. Protecting your Affiliate Earnings by masking cloak links. Displaying the look of your website by configuring the PrettyBar. Pretty Links can be setup as tracking pixels so you can track the impressions. You can keep the users on your own site even when they are redirected simply by using the handy PrettyBar which always stays at the top of the selected page. Downloading and installing Pretty Link Pro is the first thing to do. It takes a few minutes to download and even less to install it. It can be downloaded and installed from here. Once you’ve installed the plug in, you will find it on your Dashboard page. The next thing you will have to do is registering your plug-in and set the automatic updates to run regularly. This can be done by clicking: Pretty Link -> Pretty Link Pro. Enter the username and password you were given when you purchased the plug-in and click “save”. This is basically everything you need to do in order to install Pretty Link successfully. 307 Temporary: if you choose Temporary redirect, the search engines will be informed that the redirect is temporary, and “the old page should still keep its listings”. 301 Permanent: this option clearly tells engines that the link is permanent and that it should be indexed. Pretty Bar: puts a Pretty Link bar on top of your users browsers allowing them to quickly get back on your site by clicking it. Cloaked: with this option, the users still see your Pretty Link in the URL after they’ve been redirected and have landed on the target page. Pixel: if you want to use Pretty Link as a pixel tracker instead of an actual redirect. Meta Refresh: with meta refresh the visitors are automatically sent to the target page within few seconds without actually clicking the link. Entering the target URL – Enter the URL you want to create a link to into the “Target URL” box. Create the look of your Pretty Link – Pretty Link will generate a random text for the link you’re making. You can change this automatically created text by deleting it and entering your own. Group: if you want to add your link to a specific group in order to find it easily (I will explain how to create a group step by step below in this review). SEO Options: if you want to add noindex and nofollow to the links redirect header. Parameter Forwarding: if you want to use additional tracking options in your links, and you need to make sure these trackers remain preserved, parameter forwarding should be enabled. Tracking Options: by choosing this option you will be able to track how many hits you receive per link. Split Testing: used if you want to use your Pretty Link as a split tester. After you have checked this box and enabled the Split Test, you will be given a new option called Split Test Goal Link. In the goal link option, you should select the URL of your so called “Thank You” page, and this allows Pretty Link Pro to track the number of clicks per each version of this site, as well as how many conversations they got, and it will report back. Creating a Group for Your Links – this option lets you easily categorize all the links you’ve created on your site and it is especially useful if you usually create a lot of links. This option lets you group these links so you can easily find and manage your Pretty Links allowing you to segment link management on your page/blog. After you choose to add a group, you will get a new field to enter the name of the group, its description, and another field where you can place all the links you want to add to this group you have just created. Reports – if you want to know how your links are working, just go to the Reports tab and you will have a full insight of the performance of your links. Reading the report might look a bit complicated at first sight, but actually it is pretty simple. You will see Conversions, Hits, Uniques and the Conversion Rate displayed on a simple table. If you want to see the exact stats and numbers just hover your mouse over any bar and you will see your full detailed report on that certain link…. And voila, that was the whole “operation” of setting up your Pretty Link Pro and reading your reports. Go to the Pretty Link you want to use this option on, and click “Edit” under that certain link you want to place in your blog as keyword. Once you’ve opened the Edit page, you will have to click the “Pro Link Options” in order to expand the menu of Pro Link Options. Now, you should enter additional target URLs (you can enter up to 4 of them), so you can rotate them and set their weights here. As already said, the weights actually show the percentage of times each one of those URLs will be selected. Pretty Link Pro is set to use a random weight algorithm in order to determine the Target URL for each one of those links. Click the Update button and you’re done setting up this option. Now you can continue rotating your target URLs anytime, using any one of your Pretty Links. Using an Alternate Base URL for Pretty Links – if your blog has a long domain name, for example http://www.thisisaprettylinkproreview.com , trying to shorten links while having this huge URL usually won’t really work well. Pretty Link Pro now has an option which allows you to use an alternate URL you can use for your short links, so now it doesn’t really matter how long your domain name is, you will always have nice short links and they will still be attached to your brand, building it and standing it out. Pretty Link Pro will save you money and time! PrettyLink Pro takes only a few minutes to download and install. It actually plugs directly into WordPress. Utilizing Twitter is completely automated. You can see your stats, reports and the results of your marketing promotions in an instant. You are able to automate tasks that are similar and never bother about them again. It optimizes your website completely. 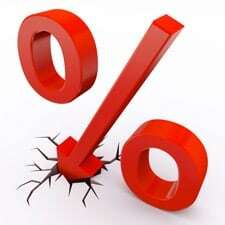 It is very affordable, no recurring fees. When it comes to Twitter, you can use the automatic tweeting feature on your site. This feature allows you to publish a tweet each time you publish a post on your blog. This post gets sent right away with your URL. WordPress has changed some of their regulations regarding plugins, and among these changes came the policy which doesn’t allow cloaking any longer, actually it doesn’t allow plugins to cloak links. WordPress actually removed all plugins that allow the users to cloak links, so the Lite version disappeared from the WordPress repository because, just like many other plugins, it didn’t comply with the new rules. To make it clear, this stands only for the cloaking option, and only users who use cloaking were affected by it. The Lite version is still on WordPress but it only allows temporary (307) and permanent (301) redirecting. If you have never used cloaking, nor intended to, you won’t be affected by this regulation change at all. The Pro users of PrettyLinkPro were NOT affected by this change, only the Lite version was changed. All the other features are still there and they work perfectly well, the removal of the cloaking option was necessary so Pretty Link Lite would be kept on the WordPress plugin repository. Pro options – including Keyword & URL replacement options, page and post options, Twitter options, social network options, public link creation options and global options. Pro Import/Export – importing and exporting your links is offered only in the PrettyLink Pro version. This feature is very handy and can save you a lot of time and effort, as the setup takes only several minutes and it is very simple. Replacing URLs – the basic Pretty Link Lite plugin doesn’t offer this great feature, so you are going to need to upgrade to Pretty Link Pro if you want this one. Now let’s explain what replacing URL is. This tool allows you to replace any URL with your Pretty Link, and it can be very useful, especially if you have a huge website and if you want to update your links quickly, when it comes to links for some certain affiliates or some other link management activities. Setting up conversation reports – conversation tracking is basically used for online sales, but conversations can also relate to sign up for mailing list, hits or clicks. Pretty Link Pro has the option to allow you to do this with each and every one of your links and it actually does give you a total control over your website and especially over your link management. Split testing your links – a great feature that is also available in the Pro version. It gives you the ability to run Split Tests, also known as A/B tests, and as described above step by step, you can setup any of your links for a test and see how each page performs, which one performs better etc. Rotating target URLs – this great feature offers the possibility to rotate your target URLs for your ad rotations, partnerships and A/B split tests. Two licenses are available for Pretty Link Pro: the Blogger Edition and the Developer Edition. The Blogger Edition is priced at $47, using the Blogger Edition you are able to use Pretty Link Pro on one website, with unlimited updates and 1 year support. The Developer Edition is priced at $97 and similar to the Blogger Edition, however with this license you are able to install PrettyLink Pro on multiple websites from yourself/your clients. Quite frankly, I can’t think of any. This tool offers so many useful features, the only problem is you may never actually use each and every one of them. PrettyLinkPro is made for precise link managing, and if you are new to all this, you may simply not understand all the advantages this great WordPress affiliate link management plugin offers. It is a powerful tool and it can ease your link managing a lot, but it can actually seem complicated and useless for newbies, just because they might not understand all these options and advantages. If you want to buy this great affiliate link management plugin for WordPress check out our Pretty Link Pro coupon code to buy this plugin with 20% discount! Pretty Link pro is, without doubt, one of the best plug-ins in its class. To be quite honest, I can’t think of any option that needs to be added to this tool. It works perfectly well, it covers every function and problem you might have with your links and affiliates, and the best of all: the plug-in is very affordable. See it for yourselves. Download the free Lite version and once you’ve learned how easy it is to manage all those options, imagine how good the Pro version is – you won’t be disappointed, that’s a promise. Thank you so much for comparing the free and pro versions so thoroughly. I was trying to decide which to install, and the ability to replace URLS is what sold me. My blog is 5 years old and has many affiliate links already embedded. I love that I’ll be able to replace them quickly. You are so right. PrettyLink Pro has amazing features and it is worth upgrading if you only have the free version. I have to say that I am just getting to know what PrettyLink Pro is about and so far I am pretty happy with it. The free version is… well free. I really don’t think the pro version of Pretty Links is necessary to accomplish that (clean links and stats on how many links were clicked). I use the free version without problems. I installed Pretty Link Pro a months ago and it has been GREAT for building and tracking affiliate links! This thing rocks! !